35 anni fa una piccola startup di nome Apple Computer presentava un prodotto rivoluzionario. Nasceva Apple II. Thirty-five years ago, on April 16 and 17, 1977, more than twelve thousand proto-geeks flooded into San Francisco’s Civic Auditorium. They were there to attend a new event called the West Coast Computer Faire, and the room brimmed with excitement over a new, futuristic gizmo known as the "personal computer." The throngs packed the aisles, marveling at microcomputers and related gizmos from tiny startups such as Cromemco, IMSAI, Northstar, Ohio Scientific and Parasitic Engineering. One of the tiny startups benefited from having an especially slick booth located in prime real estate near the entrance. 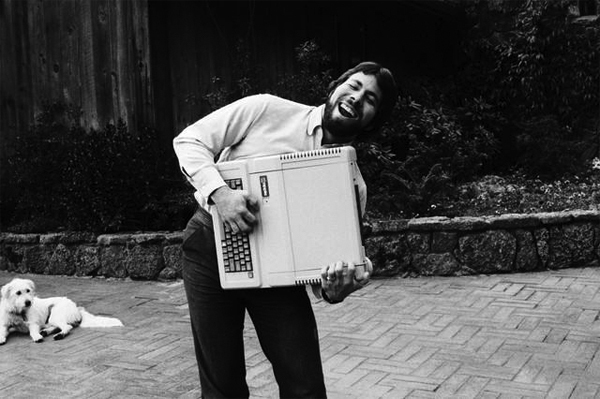 The company was called Apple Computer, and a handful of its employees, including founders Steve Jobs and Steve Wozniak, were demoing an unreleased machine they called the Apple II.